Not too long ago, it seemed that pretty much every brewery in Australia was falling over itself to add a cider to its range, whether brewed in-house or paid for and badged accordingly. Now, however, the boot appears to be on the other foot with local cider makers entering the beer world. A few weeks ago, we ran the tale of Riders Brewing Company, a spin-off from the Kellybrook / Kelly Brothers wine and cider business with The Local Taphouse St Kilda’s home-brewing Ale Tsar Shandy at the brewing helm. 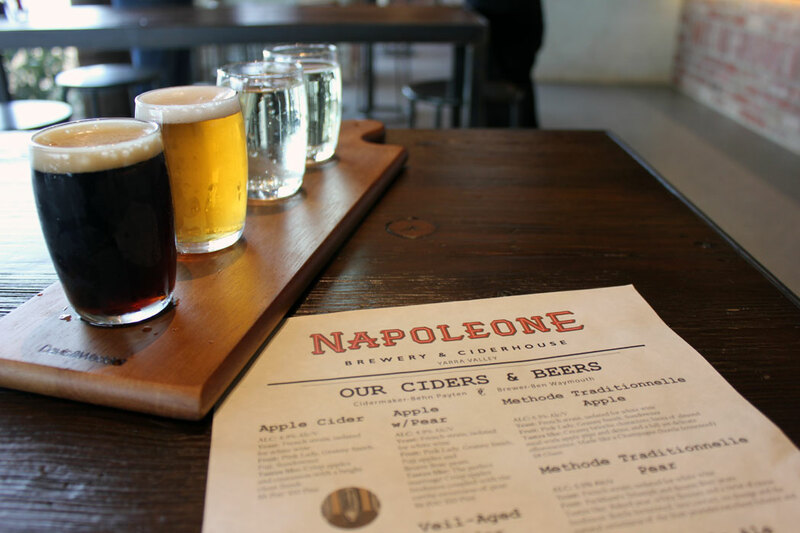 And now, established Yarra Valley winery Punt Road, producer of the Napoleone & Co cider range, has opened its own brewery and released its first beers into the market. The Punt Road winery and Napoleone Brewery and Ciderhouse share the same family-owned property in Coldstream – also home to the family’s vineyards and orchards. 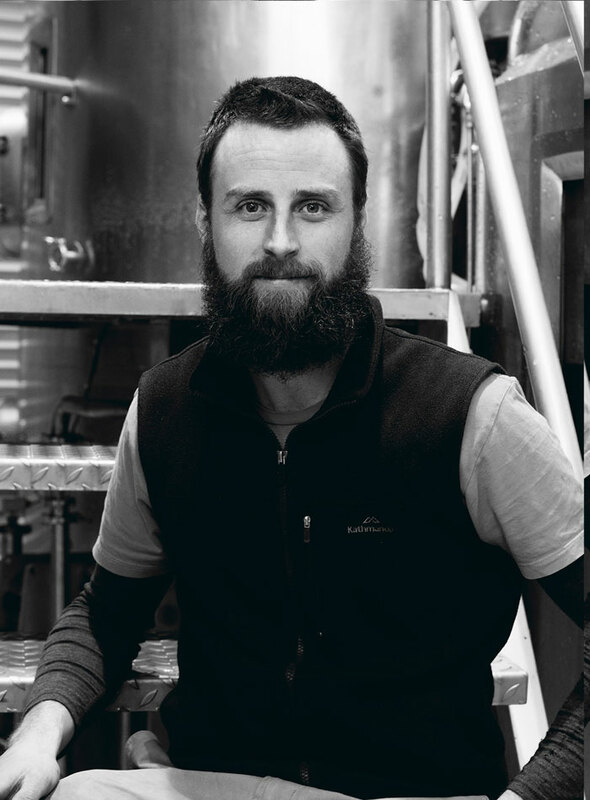 Taking charge of the brewery is Ben Waymouth, a man who chose one of the more challenging first jobs in brewing before moving to the Yarra Valley earlier this year. And not just the brewing. Given the market for gluten free – in other words, no barley and no wheat – beer is tiny, O'Brien uses a small maltster to provide them with malted sorghum and millet. To create different types of malt, for example crystal malts for their medal-winning and delicious Belgian ale and IPA, Ben would have to roast the grains himself, having been trained up by head brewer Andrew Lavery. Not only that, with each crop small and variable, they would have to carry out tests on the grains with the farmers to ensure they were suitable for malting and ultimately to make beer. “There’s not many [brewing] positions where you get to assess the raw grain and then get it malted or have to work without malt spec sheets [that tell a brewer what extract they should expect from a batch in a brew],” says Ben. “It was a pretty good education! Having helped O'Brien achieve the first ever trophy awarded to a gluten free beer by the Australian International Beer Awards, Ben moved to Napoleone in March this year, having met one of the brewery’s staff, Simon Wright, and hearing that they had purchased Moo Brew’s old kit and were looking for a brewer. Positive noises about the Yarra Valley community and, in particular, the team at Punt Road / Napoleone from a friend who worked in the industry there encouraged him to apply and soon he was packing his bags. Since unpacking them at Coldstream, he’s been given a pretty free rein in the brewery. The one demand the owners had was for an American pale ale but beyond that they have allowed him to choose his own direction and backed his requests to use the best, rather than the cheapest, ingredients to ensure he has every chance of creating top-notch beers. The first beers to hit the market were a porter – which fared well in our last Blind Tasting and is designed to be dry and suitable for year-round drinking â and a traditional-as-you-like ESB. The first Napoleone Breakneck Porter batch was brewed at Cavalier while they commissioned the brewery but, from now on, everything you come across will be brewed by Ben on the former Moo Brew system. Following those two beers will be a saison â currently being packaged in 330ml bottles, a rarity for the style â a Munich style helles lager and a wheat beer. Evidently, Ben is no hophead. He does love playing with malt, however. As for why the team behind Punt Road and Napoleone Cider moved into beer, he says it’s simple. What that means is a few additions and enhancements to the Moo Brew kit, which is now installed as part of the Brewery and Ciderhouse, where the ten taps in the tasting room built from the foundations of a 19th century dairy are shared between Ben’s brews and cidermaker Behn Payten’s creations, themselves based upon the fruits of the onsite orchards. Among the additions are a packaging line that will allow Ben to send bottled product out into the wider world – along with kegs – as he develops the Napoleone range. “I’m going to go maltier,” he says. “I’ve given myself six to 12 months experimenting in the brewhouse to see how it behaves and to perfect recipes. I want to have a look at our wine barrels and am always playing around with new ingredients. “The plan at the minute is to try not to make any massive hoppy beers and hopefully people will want to try something that isn’t an IPA, except maybe a traditional English IPA. I’m looking more to Belgian and German styles. The brewery and tasting room is open seven days a week and Ben has set up his working week so he’s there on Saturdays, the busiest day, and, if not brewing or packaging, on hand to chat to visitors about his beers, brewing and beer generally. “It’s all about education,” he says. Education and great tasting beer, of course. Something he’s determined to bring to the Valley and beyond. Napoleone Brewery and Ciderhouse is at 12 St Huberts Road, Coldstream.